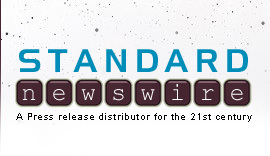 CINCINNATI, Ohio, April 10, 2019 /Standard Newswire/ -- American Heritage Girls (AHG) is proud to have reached the 500th Stars & Stripes Award milestone and recognizes the nearly two decades of Stars & Stripes Award Recipients who have come before this landmark moment. The Stars & Stripes Award is the highest recognition available to an American Heritage Girl. Girls pursuing this award have the opportunity to exercise servant leadership, project management, communication skills, and time management, while blessing their communities in amazing ways. Through the process of earning the Stars & Stripes Award, candidates gain a first-hand understanding of the servant's heart required to lead with integrity and humility, preparing girls for responsibility as they transition to adulthood. Since 2001, Stars & Stripes Award Recipients have contributed over 50,000 service hours to organizations in need. "This time spent volunteering in communities across America has resulted in the development of impactful servant-leaders. What a blessing!" said Patti Garibay, AHG Founder, and Executive Director. Earning the Stars & Stripes Award is a challenging endeavor. Girls have the support and guidance from a Mentor and Stars & Stripes Project Advisor, parents, Troop, and the community. Past Stars & Stripes Award Recipients have become managers, performers, physicians, teachers, aviators, and even a volcanologist! Founded in 1995 in Cincinnati, Ohio, AHG is a faith-based character development program for girls 5 to 18 years of age. AHG is dedicated to the mission of building women of integrity through service to God, family, community and country. AHG girls across the nation and the globe participate in badge programs, service projects, leadership opportunities and outdoor experiences, all with an emphasis on Christian values and family involvement. For more information, visit the AHG website at americanheritagegirls.org. Follow AHG on Facebook, Twitter, LinkedIn, Instagram, Pinterest, and YouTube. To schedule an interview with AHG Executive Director and Founder, Patti Garibay, contact Michelle Beckham-Corbin at Beckham-CorbinM@ahgonline.org or 513-771-2025 X 124.